In the story, the gumiho leaves her husband and has a young daughter who has inherited her mother’s ability to shape-shift (gumiho lore includes their abilities to transform themselves to look human). She decides to take revenge against a human. During the reign of King Sejong, Joseon Dynasty was the embodiment of the perfect state. To the Ming China, the aspiring imperial power, Joseon presented an obstacle to territorial expansion. The Ming China demanded submission and interfered with internal affairs of Joseon. All the while keeping Joseon in check with the constant threat of the northern barbarians. Disgusted by the Chinese interference ,King Sejong secretly develops the Phantom Arrowslinger, a weapon he intends to use to take back Joseon’s land and supremacy. but When Chinese spies discover the plan, the Chinese emperor attempts to disrupt the development with force, setting off a chain reaction of violence. Lee Ae Ri and Han Min Gook are a couple who are in the process of getting their divorce. Han Min Gook is a wealthy man who maintains a million dollar fortune and his top actress wife, Ae Ri, files a 100 billion won lawsuit against him. Byun Hyuk is the lawyer that represents Ae Ri in her divorce suit against her husband while Woo Lee Kyung is the new lawyer who represents Min Gook. Though they don't get along with each other in the beginning because they each represent other clients, Byun Hyuk and Lee Kyung slowly fall for each other. Yoon Seok Joo is a producer who abandons his common law wife, Seo Young, to attain success. They have a daughter together but he later betrays Seo Young when he marries a rich man's daughter, Lee Jung Min. Lee Sang Min is an owner of a film company and is a new film director. He is also Jung Min's half brother. Sang Min will be a rival to Seok Joo in work and in love for Seo Young. Yoon Hyun Joo lost her dad at a young age and went through serious hardships and became a successful architect and is Seok Joo's sister. 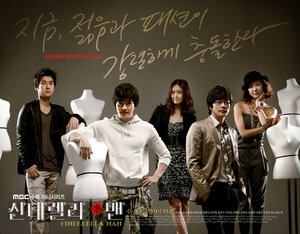 This drama is also about the lives of five siblings.